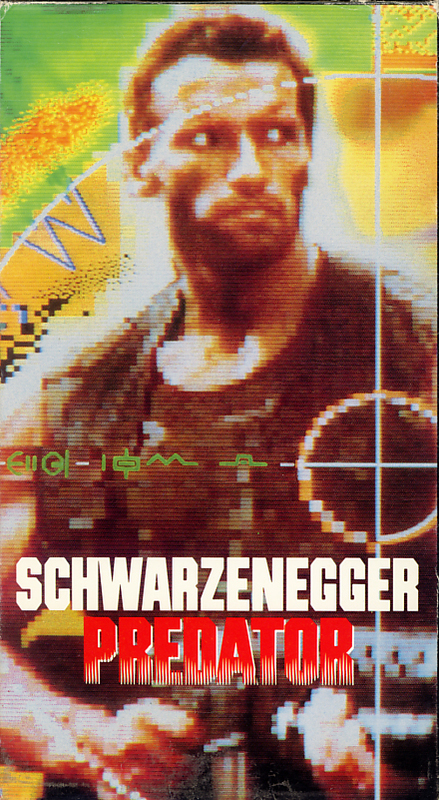 Predator on VHS. Starring Arnold Schwarzenegger, Carl Weathers, Kevin Peter Hall. With Elpidia Carrillo, Bill Duke, Jesse Ventura, Sonny Landham. Directed by John McTiernan. 1987. Arnold Schwarzenegger stars in this action-packed adventure story of fighting men pitted against an unseen enemy, a force more powerful than their fiercest weapons. Recruited by the CIA to rescue hostages held by guerrilla fighters in a Central American country, Schwarzenegger and his men encounter an enemy unimaginably more deadly than any on Earth — because the Predator is not of this Earth. Packed with spectacular special effects and combat scenes of gut-wrenching power, PREDATOR is the most terrifying — and most exciting — Schwarzenegger movie yet. Batman & Robin on VHS. 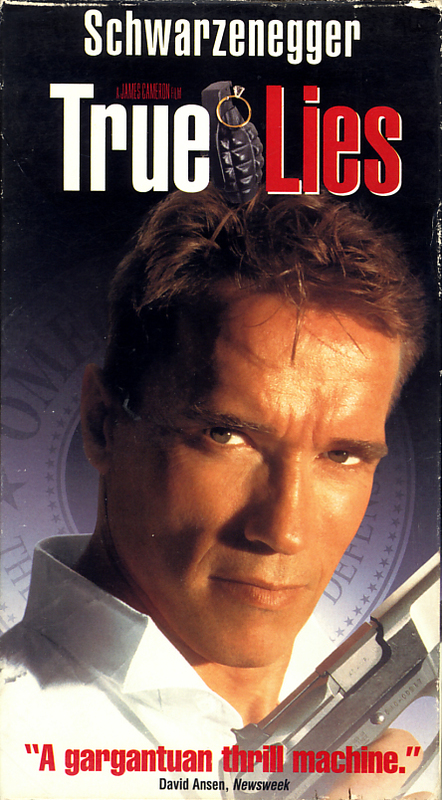 Starring Arnold Schwarzenegger, George Clooney, Chris O’Donnell, Uma Thurman, Alicia Silverstone. Directed by Joel Schumacher. 1997. Chills and thrills: will Mr. Freeze put Gotham City on ice? George Clooney is Batman in a dazzling adventure (directed by Joel Schumacher) that pits the Dark Knight against his deadliest threat yet: cold-hearted Mr. Freeze (Arnold Schwarzenegger) and venomous Poison Ivy (Uma Thruman). 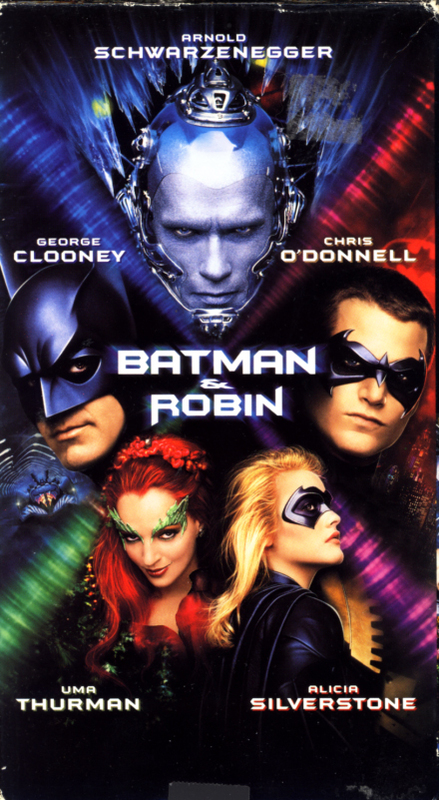 Batman has more than Gotham City to protect: the youthful eagerness of crimefighting comrades Robin (Chris O’Donnell) and Batgirl (Alicia Silverstone) puts them frequently in harm’s way. New very special effects include a wild sky-surfing sequence and Mr. Freeze’s outrageous arsenal of ice-blasting weapons. It’s state-of-the-art excitement from our Batfamily to yours!